This may be a skit, a video, or an activity that gives purpose to the activity. The purpose of the entry event is to establish the "why." We have worked very hard on refining our instructional practices to ensure student success. Let us take some time to revisit the source, reflect on our accomplishments, and take the next steps to deepen our understanding to impact student learning. 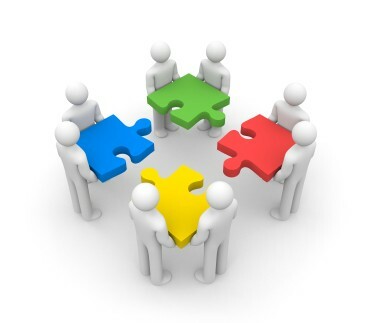 Each group will need to have one of the following: The Creative Soul, The Group Leader, Quality Control/ Devils Advocate, The Techie.. Who will you be in your group? Make sure to utilize all the talent in your group to develop the best product. 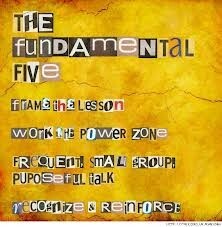 How can we, the educators of Weatherford High School, convey to educators around the world the overall impact of the Fundamental Five in regards to student success in learning? These are the essential questions that need to be addressed within your final product. 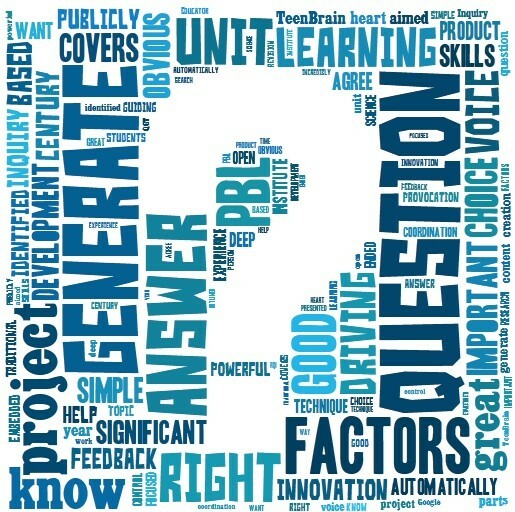 Use these questions to guide your discussions and work. 1/3 of the way through the group time we need to gather for a quick "fishbowl" session. During a "fishbowl" groups present their project idea to the group. They will be given 1 minute (which needs to be timed) to explain their plan. During this time everyone else is listening and quiet. At the end of the 1 minute the timer will start again for 2 minutes and the group will discuss the group's project in front of them. The group that is being discussed can't speak during this time! The large group will talk about what they like and dislike about the idea. They can offer suggestions and critiques. 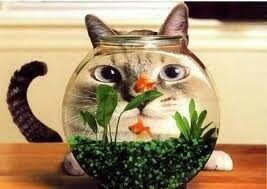 The group that presented can choose to use or ignore everything they hear in the fishbowl. This process will repeat with each group. Note: This is a key component that allows for reflection, accountability, and quality control. 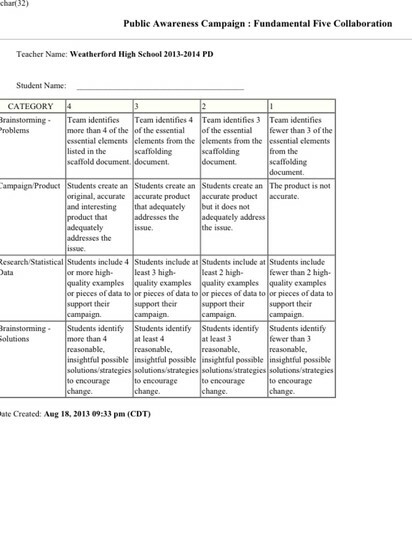 Final products will be turned in to your group facilitator at the end of the allotted time. 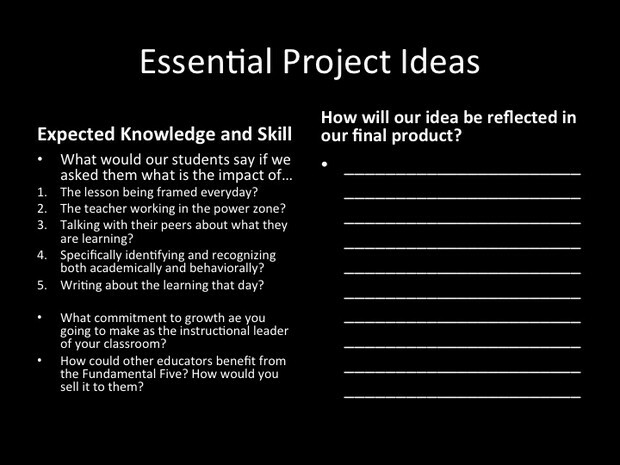 Your projects will be used throughout the school year during faculty meetings for reflection. Things to reflect on while you work. How can your group reach the most people? Ignore what you do not know how to do with technology. We will help you with that once you have the "meat" of what you want to present. Are you including what did not work for you or a time that you struggled? If so, how did you or will you overcome that? Think simply in terms of the project. Think and speak from your experience and your real successes.